Editor’s note: this page is specifically intended for guests (or their families) visiting Universal with an intellectual, select physical, or learning disability. If that is not you, please return to our OI Center for over 200 other pages of vacation-planning information. This article has been provided by OI contributors Debi and Maureen, and we are very thankful for their expertise in this area. Visiting theme parks with a person with mental, physical, or learning disabilities can be an anxious time for families – even if you are the person in the wheelchair or using a cane. There are more recognized disabilities now than ever before, but not all of them are visible, and having to wait in line with a person who is incapable of understanding basic directions or manners or who has physical limitations can sometimes become overwhelming. Most parks now offer help and alternative ways to experience the fun many others take for granted, and Universal Orlando is no exception. Before you head for the parks, download the Guide for Rider Safety and Guests with Disabilities for both the theme parks (PDF file) and Volcano Bay (PDF file). A hard copy is also available at Guest Services. It will give you the specifics that Universal provides for disabled guests to help you plan your visit. If you or your family member is in a wheelchair, it can help you know in advance which rides are wheelchair-friendly or require a transfer. It gives all ride restrictions, including height and health concerns that you need to know before you get in line. Once again, this program is specifically intended for guests (or their families) visiting Universal with an intellectual, select physical, or learning disability. If that is not you, please return to our OI Center for over 200 other pages of vacation planning information. In addition, if your physical disability can be accommodated by renting a wheelchair, you are likely not eligible for this pass. We continue to recommend that you contact your doctor for a note or prescription describing what accommodations your disability requires. While this is not required by Guest Services – and they may not even read it – some guests have shared with us that they believe having one made a difference in their request. You do not have to give Universal a diagnosis, but you will have to advocate for yourself and state the accommodations that would facilitate you or your child’s experience touring the parks. Whether or not you have a doctor’s notes for the parks, it is still strongly recommended that you carry something from your doctor about your disability or condition when traveling in the event of a medical emergency. 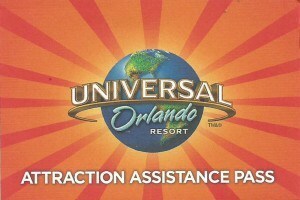 If you meet Universal’s requirements, you will be issued an Attraction Assistance Pass (AAP). It is a small card with a barcode at the bottom, and it contains 25 lines for return times to the attractions (we have an image below). If your special-needs child uses a stroller, make sure you request documentation to use it as a “wheelchair” in the parks. Finally, if you are an annual passholder, the AAP can be issued for up to 14 consecutive days, so you will not have to return to Guest Services within that time period. Otherwise, they are issued for the length of your stay. 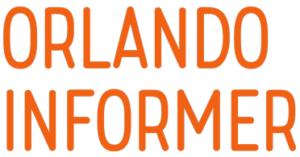 Please note that there are no Universal Attraction Assistance Passes issued at the Volcano Bay water theme park, since all of its attractions employ the use of a Virtual Line. Once you receive your pass, keep it handy because you will need to show it to attraction greeters. Be aware that Attraction Assistance Passes are not meant for immediate entrance to the attractions. Present your AAP to the greeter at the attraction you would like to experience. If the posted wait time is less than 30 minutes, you will be directed towards an alternative queue, which may be the Express Pass queue, the attraction’s exit, or, possibly, a different route. If the posted wait time is 30 minutes or more, the greeter will indicate a specific time to return to that attraction on the reverse side of the pass. Once it is your time to return, present your AAP to the greeter at the attraction, and you will be directed to the alternative-queue entrance for that attraction. After you have experienced a ride, you may use your AAP to receive a return time at another attraction. Please note that you may only have one active return-time reservation at a time – so, if you receive a reservation at one attraction, then choose to get a second reservation at another attraction without having used your first, you forfeit the earlier reservation. You may, however, ride any attraction with a wait time of less than 30 minutes without losing your current reservation. There is also a pass called the Express Guest Assistance Pass, or Express GAP, for use at the two theme parks. It provides greater access and, as a result, is more difficult to obtain. The pass itself resembles a regular admission ticket, and one will be issued to each member of your party. It is usually only given when it has been demonstrated that the AAP does not work for guests with certain disabilities, typically cognition challenges or certain autistic sensory issues. If you have tried using the standard Attraction Assistance Pass and it didn’t work for your family, don’t be afraid to ask for assistance. But be prepared for this process to take time, as you may have a lengthy discussion with a couple of team members. Should you be issued one, the Express GAP works much like a regular Express Pass in that you will be able to enter the shorter or alternative queues immediately. But remember: none of these passes are “front of the line” tickets, so there still may be a short wait (usually less than 10 minutes). Also remember, with the regular AAP, you can go right into the Express Pass line if the current wait time is under 30 minutes. There are two special considerations you should keep in mind with the Express GAP: it’s not valid for Pteranodon Flyers at Islands of Adventure, and it’s issued on a daily basis only. The “alternative queue” is generally the Express Pass queues. They are not difficult to find, as their entrances are almost always next to the stand-by queue entrances, or they will have signs for disabled seating. As noted in the Rider’s Guide, Electric Convenience Vehicles (ECVs) or electric wheelchairs can’t be used in any queue; you or your family member must transfer to a manual wheelchair before entering the lines. As always, speak with the ride attendant if you have questions. Now, we’d like to share a couple of hints to make entering certain attractions easier for someone using a wheelchair or with other disabilities. We always recommend seeing the team member in front of the ride to locate the appropriate entrance for your party. Shrek 4D: the entry for this one keeps changing! Sometimes they’ll send you through the Express Pass line; other times, you’ll head right to the attraction entry door. Follow the greeter’s instructions. The ADA seats in the main theater are in the center and are not stationary – those seats are in the front row. As you exit the gift shop, go right for the ramp. Revenge of the Mummy: use the Express Pass line and keep an eye out for a gate on the left, which a team member will help you through and which leads to the elevator. Once on the second floor, tell the attendant you need the ADA car. It is adapted so the door in the last row opens, allowing better access. Also, this car always stops on the left platform at the end of the ride, so you won’t have steps to climb or descend. Race through New York Starring Jimmy Fallon: wheelchairs can go through to the ride, but ECVs will have to be parked outside and users will have to transfer to a manual wheelchair (or walker, crutches, cane, etc.) for the waiting rooms. Although there are sofas available on the second floor, seating can be hard to come by, due to their popularity. There is a modified ride vehicle that you can transfer to from your wheelchair – just ask an attendant for assistance. Harry Potter and the Escape from Gringotts: the wheelchair-alternate entrance is the Express Pass line. Once you exit the faux-elevator (referred to as a lift, in authentic British fashion), a team member will be there to show wheelchair riders or those who can’t use stairs to the (real) elevator. From there, you’ll turn right to find the disability loading platform (the Child Swap room is also at this location). Row six does have an ADA door that opens if you have difficulty transferring. Make sure at this point that the employee loading you into the ride vehicle knows that your car needs to return to the ADA platform. Hogwarts Express: follow the directions of the team member after you have scanned your park-to-park pass. Since ECVs are transported on the Hogwarts Express, the employee will direct you to use the ride’s exit line, which will take you to the lift. Wheelchair riders remain in the stand-by or Express Pass queues until they reach the lift area; when you exit on the second floor, you will have the option of going through the Platform 9 3/4 wall (you’ll go to your left) or immediately enter the train platform (on the right). Normally, you’ll be shown to row seven. Don’t worry – although there are four row-sevens on the train, they all lead to the Express‘s ADA compartments, which contain moving walls to allow for an easy entrance and exit. If you’re in a wheelchair, you have the option of remaining in the chair or transferring to a seat; ECV users will have to transfer. ECVs and folding wheelchairs are stored behind a wall in the ADA cabin and will be waiting for you when you exit the train. When you arrive at Hogsmeade Station, follow the signs back to the lift. Special note: when entering The Wizarding World of Harry Potter – Diagon Alley, be forewarned that the streets are paved with cobblestones. They can be bumpy, depending on the suspension system of the wheelchair or EVC that you’re using, and the front wheels can get caught in between the stones and on the thresholds of the shop doorways. Additionally, please note that while wheelchairs can go into the shops, the aisles are at minimum-legal-allowable widths, and it can be difficult to maneuver through them – especially when they’re crowded. The Simpsons Ride: use the Express Pass line. You should be sent to a ramp used for wheelchair guests, but you must transfer from your chair. Your chair will be waiting in the hallway after you’re done riding; however, if you have been shown to the far rooms on either side, you will have to re-enter the hall from the outside of the building to reclaim it. Men in Black: Alien Attack: follow the directions of the team member – you’ll be sent to the elevator, which you’ll take down to the ride platform. If you can transfer from your wheelchair, ask to use the front row of the ride vehicle, as the seats are lower. If you cannot transfer, there is a special device that straps you and a chair onto it, then onto the ride car. But don’t use this accommodation if you really don’t need it, since it’s time-consuming for attendants to operate and will only hold up your journey. If you need your chair as you exit the car, tell them. Otherwise, your chair will be right behind the curtain when you disembark. E.T. Adventure: once you receive your “interplanetary passport,” you’ll use the door on the left (ignore the sign) instead of following the lines on the right of the entrance. This leads to a short ramp where you surrender your passports and then are asked if you can transfer. There is an ADA car that accommodates wheelchairs, so you can remain in yours. If you transfer, make sure you tell the attendant that you need your chair at the exit. A Day in the Park with Barney: special seating is available. Hint: if your child is disabled, you may be asked to remain behind for a special meet-‘n-greet with Barney himself! Woody Woodpecker’s Nuthouse Coaster: use the exit. The Cat in the Hat: the handicapped entry is in the garden, south of the gift shop. Once inside, turn right, then left into the Child Swap room, where you board. There is an ADA car where riders can remain in their wheelchairs. One Fish, Two Fish, Red Fish, Blue Fish: on the right side of the ride is a gate marked for handicapped riders. Wait for an attendant to help you board. One Fish also has an ADA car, and guests may remain in their wheelchairs. Caro-Seuss-el: there is a disabled entry. Make sure you tell the attendant that you need bench seating – if you do – so they can allow you to board first. The High in the Sky Seuss Trolley Train Ride! : enter through the Child Swap area, then to the right for the elevator in the hallway. Turn left as you exit on the second floor. There is an ADA car in row 10 that allows the door to be opened wider, but you must ask for it. Note that there is about an 18” step up and no stool or help for this. Poseidon’s Fury: if you don’t use a wheelchair or ECV (which, yes, is allowed for this attraction), and if you have trouble walking long distances or can’t stand for a long length of time, this is not the attraction for you. The special effects are pretty cool, but there can be a long wait before the show begins, and there is no place to sit or rest during the show. Harry Potter and the Forbidden Journey: because Forbidden Journey loads riders using a quick-moving walkway, you will need to use the secondary platform. Once you have entered the castle, ask the ride attendant to be shown to this secondary platform; you will be directed to an elevator and taken to the third floor. You will enter a hallway – follow it to the second elevator. Punch button two. It enters into a waiting area, approximately 4×9 feet – quite small and congested. It will only allow about six people and two wheelchairs. Getting by each other can be difficult! One wheelchair has to back into a corner with the trash can to allow the party leaving the ride to get into the elevator. If the door opens and the area is full, I suggest going back to the third floor and waiting until a party exits before you venture down again. After your ride is complete, backtrack the route to exit the ride – take the elevator to the third floor, go down the hall to the next elevator, and then head down to the first floor and exit through the gift shop. It is difficult to get through the store to reach the exit door, as it is quite small and very congested, and there are posts in the middle of the walkways. Hogwarts Express: if you’re using an ECV, you’ll automatically be shown to the queue’s exit to reach the lift. Other queues are wheelchair-accessible, and, as with King’s Cross Station, you will be shown to the lift when you arrive at the stairs. If you’re unable to climb the stairs, please inform the team member that you’ll need to use the lift. Once on the boarding platform, request row seven. Wheelchair users will be allowed to roll into the compartment, but ECV riders will be asked to transfer. As before, ECVs and folded wheelchairs will be returned after the train ride is over. Follow the signs to the lift and then to the exit. Flight of the Hippogriff: use the Express Pass line. If you’re using an ECV, ask an employee if you’ll be allowed to use the exit to board the coaster. Pteranodon Flyers: the AAP can be used on this ride, which is meant for children 36 to 56 inches; only one adult can accompany the child to whom the AAP has been issued, and the AAP can only be used if riders can climb steps or the child can be carried. If the child can’t transfer from a wheelchair, the AAP cannot be used, and guests will have to wait in the regular line, which can be quite long. Understandably, since Volcano Bay is a water park, its attractions are much more restrictive in terms of being ADA-friendly; none of them, for instance, will allow Electronic Convenience Vehicles into their queues. Furthermore, only two attractions provide manual wheelchairs for transferring onto the ride vehicle: Krakatau Aqua Coaster and Maku Puihi Round Raft Rides. If you’re unable to make the transfer to a wheelchair, please inform a team member. Krakatau Aqua Coaster: use the elevator located to the left of the main queue entrance. Waturi Beach: you will transfer from your wheelchair into the wave pool through a sloped entry. Ask the team member to show you to the accessible entrance location. The Reef: you will transfer from your wheelchair using a pool lift. Kopiko Wai Winding River: you will transfer from your wheelchair into the lazy river through a sloped entry. Ask the team member to show you to the accessible entrance location. Maku Puihi Round Raft Rides: use the elevator located to the right of the main queue entrance. Puka Uli Lagoon: you will transfer from your wheelchair using a pool lift. TeAwa the Fearless River: you will transfer from your wheelchair into the action river through a sloped entry. Ask the team member to show you to the accessible entrance location. Editor’s note: one of our readers sent this message to me about her experience at Universal Orlando with her special-needs kids, and I wanted to share it with all of you. I just wanted to say I love your site and love, love Universal. This past May, my husband and I took our six kids on our first-ever family vacation, and we went to Universal. We have two kids with special needs (one has a form of autism, and one has CP and other brain issues), but I have to say I couldn’t have been more pleased with the way Universal has things set up for people with special needs. My daughter, Sarah, is eight, and she is in a wheelchair. I was so worried at first about getting her though the crowds and through the lines to get on rides, but it was nothing. I was able to take her chair all the way through the lines with us and just lift her onto the rides myself with ease. It finally felt so good to know we weren’t in other people’s ways or holding anybody up — we got on everything so fast and smooth. As for Hunter, who has autism, there were times it would get overwhelming for him, but Islands of Adventure is so well themed that there are plenty of alcoves to take a quit moment and just collect ourselves. We sat in one behind the building where we had pictures taken with Spider-Man, and it was just so beautiful to sit and take in the sights. My son even said he think he found a slice of heaven on Earth – it was beautiful! We had team Grandma with us, too, and I have to say Universal really does have something for everyone! We stayed on sight at the Hard Rock and loved it there, as well. I can’t wait to take them all back. I just thought I would share our wonderful experiences with you in case anyone ever asks about taking children with special needs. We loved it! We hope this will make your tour through the Universal Orlando parks a more enjoyable experience. If you have concerns at any ride, attraction, or, even, Guest Services, be certain to ask for a supervisor. Universal has always, in our opinion, hired the most caring and concerned employees, and we have had some extraordinary experiences because of them. Their goal is to help you enjoy your visit. 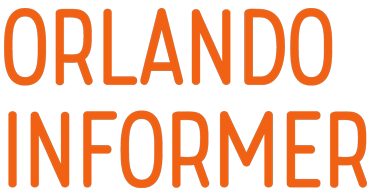 To contact Universal in advance with any questions or concerns, you can use this online form or dial 407-224-4233. Universal also has an ADA Information page on its website with additional information. Thanks again to OI contributors Debi and Maureen for providing this article. If you have any further questions, you can post them in our OI Community Facebook group.